Calling all parents! If you have no seen this yet, then you definitely want to take the time to watch this video! If you are seeing this post on Facebook, then be sure to click on the title of this post and go to my website to watch. OK, now that you have watched, what do you think? I actually went on the Nick.com site and saw this for myself. You can too if you go into “more” in the top navigation. You will then see a link for “addicting games”. Even the name just doesn’t seem right. Anyway, that will take you to the addicting games website. It does say that you are leaving Nick.com, but if they have an obvious link out to them, then they are affiliated with the site. 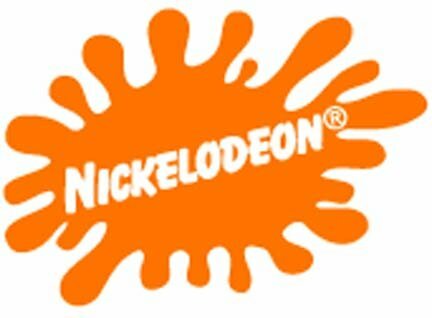 My kids are still young yet, but I am horrified that a child friendly company like Nickelodeon would allow this. I am writing this post in hopes that those of you bloggers out there would be aware and possibly also write a post. Maybe we can put a stop to this! Please leave me a comment and let me know what you think about this. And if you do blog about this, leave the link in your comment. Thanks so much guys! This is very disturbing. It’s hard to censor your kids from everything, but geez. Can we get a little help here Nick? I feel like the only way my son will be protected is if I keep him in a bubble, but that’s just unrealistic. Thanks for informing us. BTW: How are you feeling? Getting any more sleep lately? .-= joanofalltrades´s last blog ..Sugar Coma: Somebody Revive Me! =-. I am appalled!!! Thanks for sharing. Will spread the word!!!! This is very disturbing. I let my grand kids play games on there – use to let them I should say. I will write a post about this. Parents need to know. Thanks for bringing it to my attention. This is terrible! I will definitely tweet this out to our community. Thanks so much Dawn for sharing this! terrible. But at the same time, it can be a lesson for parents/kids. you can’t simply rely on a trusted name like Nickelodeon to keep inappropriate material away from your child’s eyes and parents always can’t police their kid’s online time. I say talk to your children, let them know what your expectations are for their web surfing and empower them to tell you when they come across illicit content. .-= Teresha@ Marlie and Me´s last blog ..Baby Log: Week 22 =-. I can’t believe it. I had to go look for myself. What are they thinking? I don’t even want my 12 year old doing those games. And he does well now did go to that addicting games site. I thought the same that it would all be kid friendly. Thanks for pointing it out. .-= Kelli @ 3 Boys and a Dog´s last blog ..ReThink What Matters with Bare Escentuals =-. I clicked over out of mild curiosity, thinking you were going to be upset about something sort of tame. Good grief! I’m shocked – and it takes a lot to shock me. Has there been enough uproar for Nick to take a look yet? I’d post this on my Facebook, but I don’t want the kids I’m friends with to see! I never did feel comfortable about Nicklodeon anyway. I’ll certainly get the word out. Disgusting! This is selling out to the devil! This is horrible. My kids play games on nick.com all the time. I am going to have to check my parental controls and see if my boys can access this addicting games.